The defining features of this dry suits are the front entry zipper. 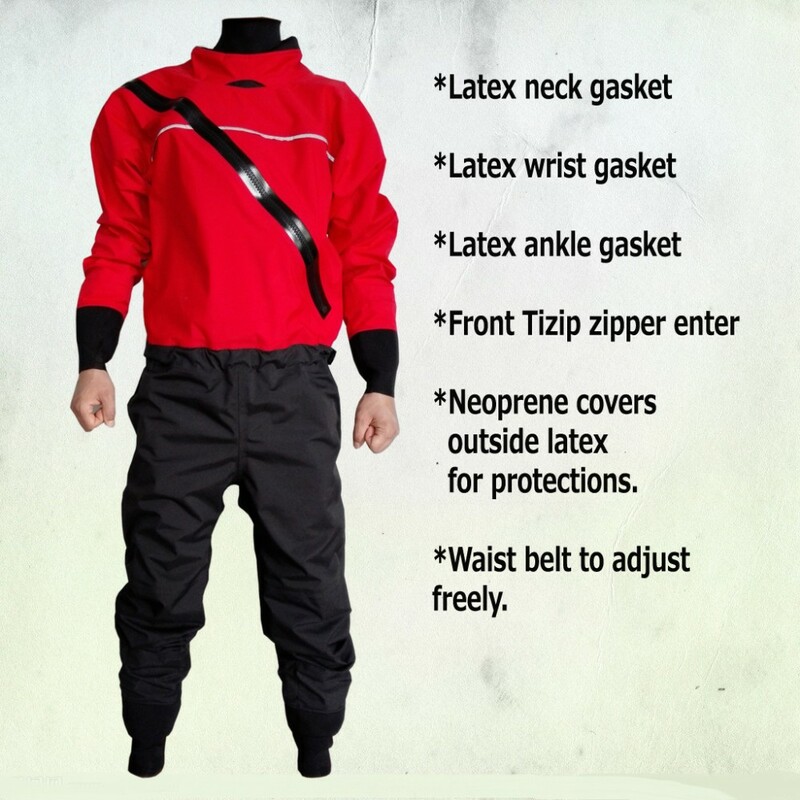 This dry suits comes standard with: latex neck, Latex wrist gaskets,Latex ankle gasket, G-tex 3L breathable fabric,neoprene cuffs outside the latex gasket for double protection. High visibility 3M Scotchlite reflective trim around wrists for added visibility.